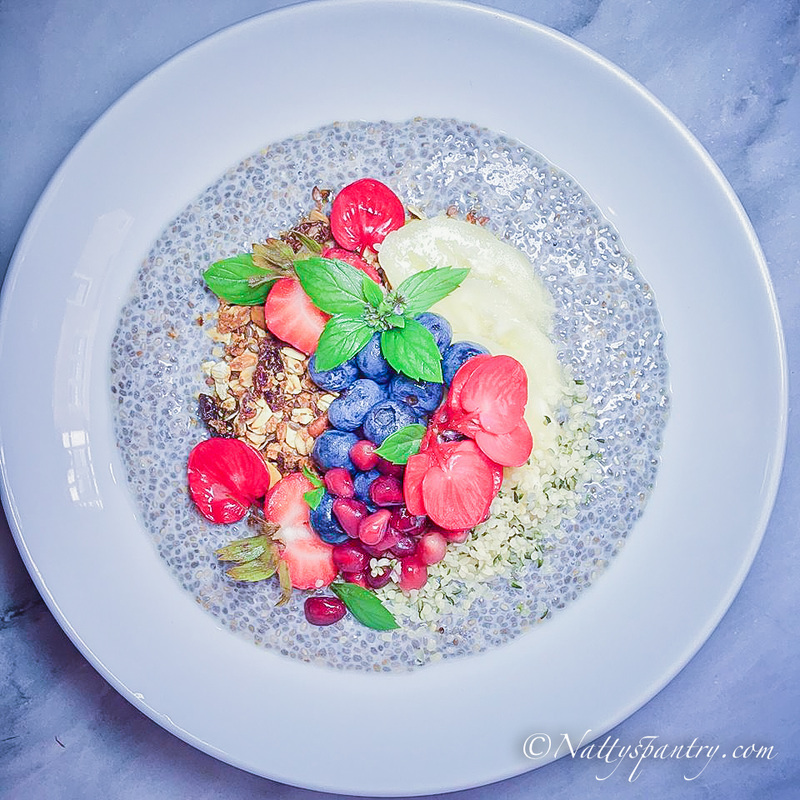 The best bowl of Chia Seed Pudding Bowls I have had is those I have made at home. It tastes better, and you can pick whichever milk you like to whip your bowl. Optional: almond milk, coconut milk, cashew milk or a combination of the two would work as well. In a medium bowl with the almond milk, vanilla extract, and chia seeds whisk until well blended. Rest in the fridge for at least 2 hours to overnight. Once your chia pudding is ready, add the liquid stevia and mix all the ingredient until smooth.